(1) O Lord! I have forgotten You, and my tongue has become afflic­ted with the jaundice of ignorance. Engrossed in mundane pleasures, my tongue does not like the nectar of Krishna’s Name. (2) Yet if I faithfully chant the Name every day, then, as sugar candy eradicates jaundice, so my taste for the Name will gradually develop, O Lord! (3) My misfortune is that I have never had faith in the Name. O merciful Lord! How will the ten offences, my misfortune, be destroyed? 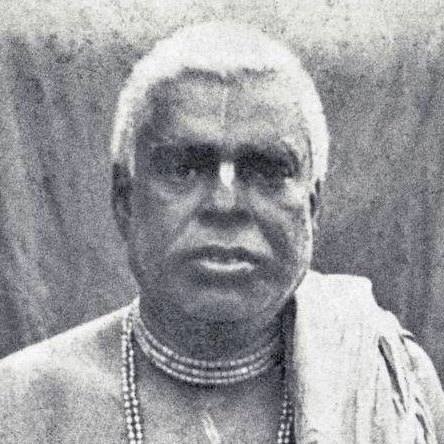 (3) daśa aparādha: “The ten offences.” Srila Bhakti Vinod Ṭhākur has defined the ten offences to Krishna’s Name as follows: (1) to criticise sadhus devoted to the Name; (2) to consider the Names, Forms, Qualities, and Pastimes of the Supreme Lord to be distinct from Him, and to consider that Shiva and other demigods are Lords independent of the Supreme Lord; (3) to disrespect Sri Guru, who enlightens others about the Name; (4) to disrespect the scriptures which narrate the Name’s glories; (5) to consider the Name’s glories to be nothing more than praise (to have no factual existence); (6) to consider the Name Himself to be imaginary; (7) to commit sin on the strength of the Name; (8) to consider ser­ving the Name to be equal to pious activity; (9) to instruct faithless persons about the Name; (10) to engage in the service of the Name with mundane egotism and possessiveness. These ten offences must be completely abandoned. (4) As I constantly chant Your Name, my offences will grad­ually go away by Your mercy. I will attain taste for Your Name, and I will relish Your Name’s nectar.